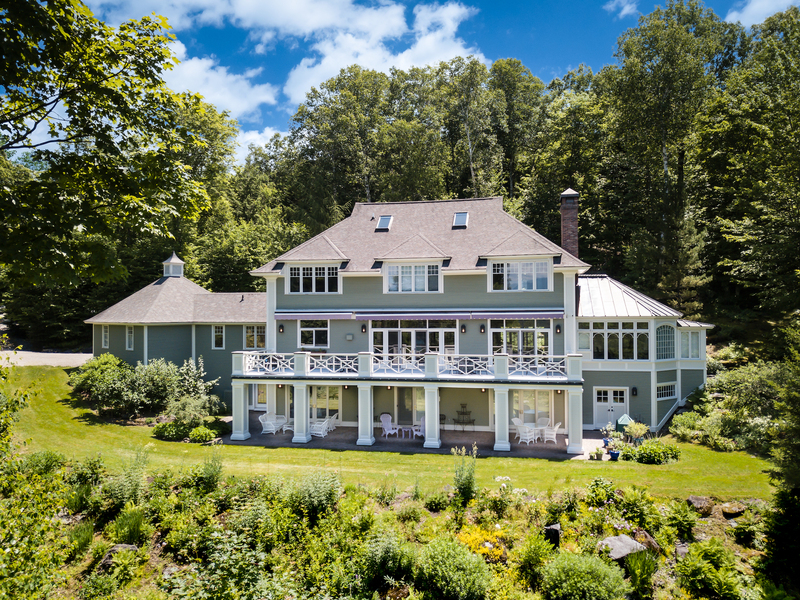 This upscale two-story Georgian/French Country style residence in Stowe, Vermont has incredible views. 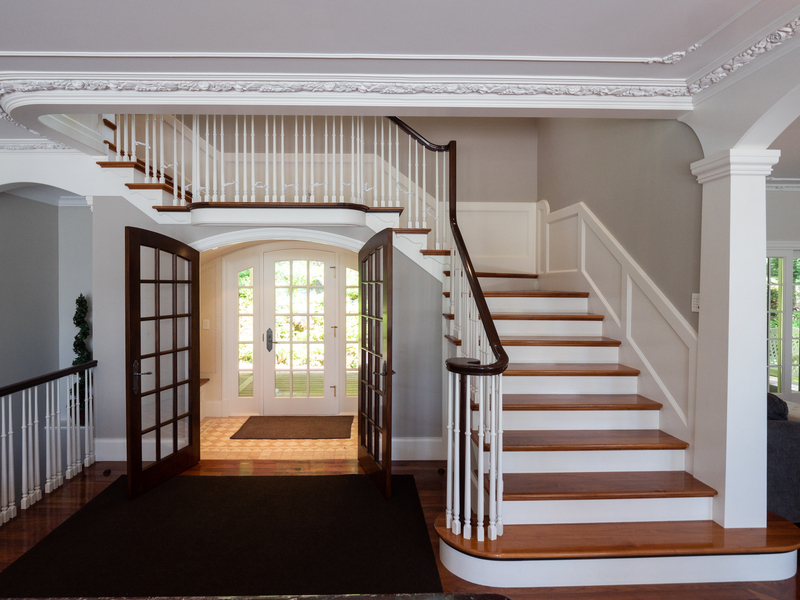 From the moment you walk through the front door the attention to detail is evident in the beautiful wooden staircase. 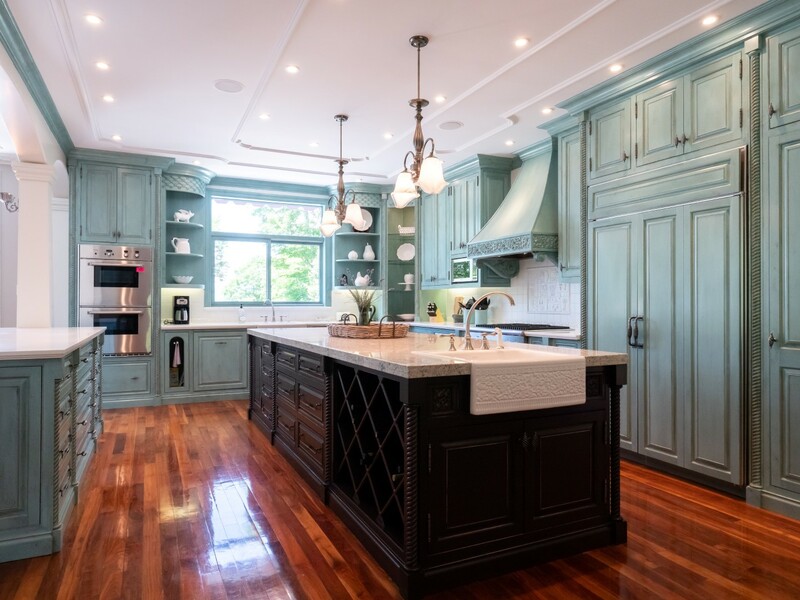 Artistic moldings, custom cabinetry, and black walnut floors give this home a distinctive look. 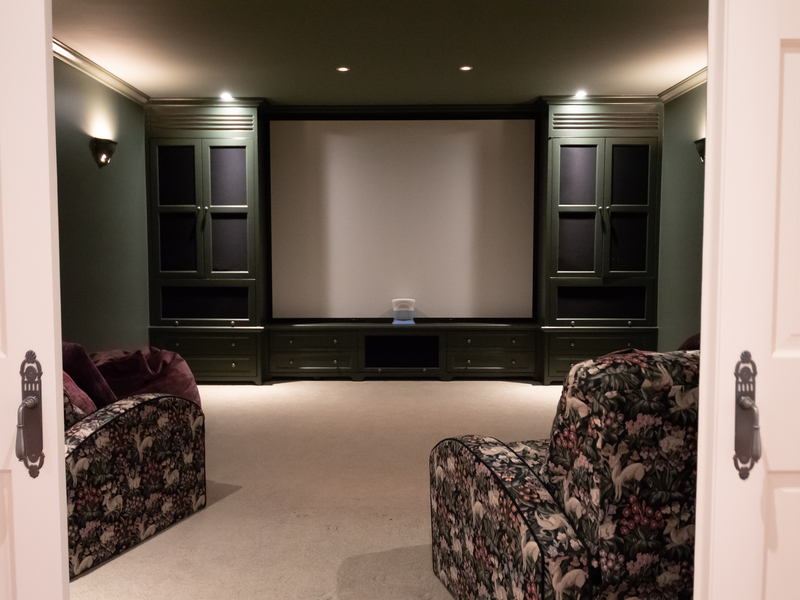 The home theater has a ten-foot screen and high definition surround sound. 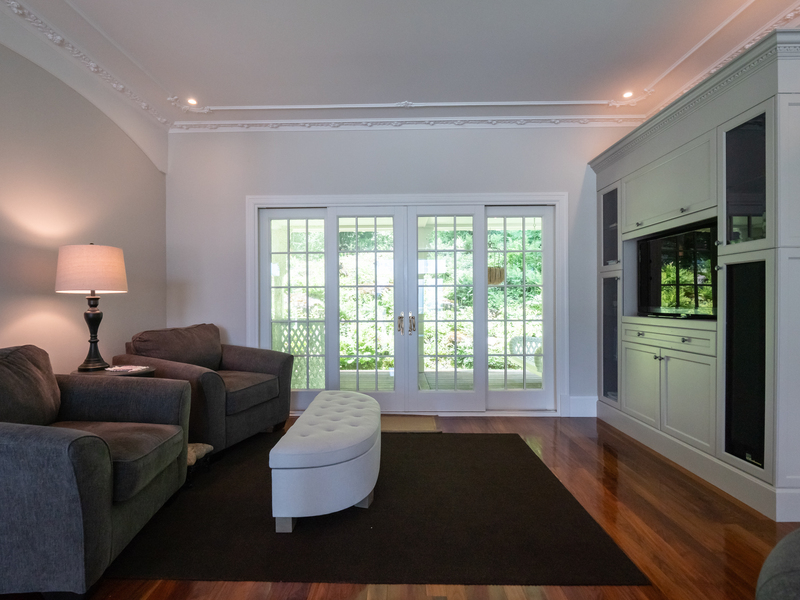 This is a smart house that includes a built-in sound system throughout, with speakers in the solarium, dining room, kitchen, master bedroom, and bathroom, as well as the columns on the deck. Sitting 1,000 feet above the village of Stowe, this home takes in views to Mt. Mansfield and the Green Mountain range. 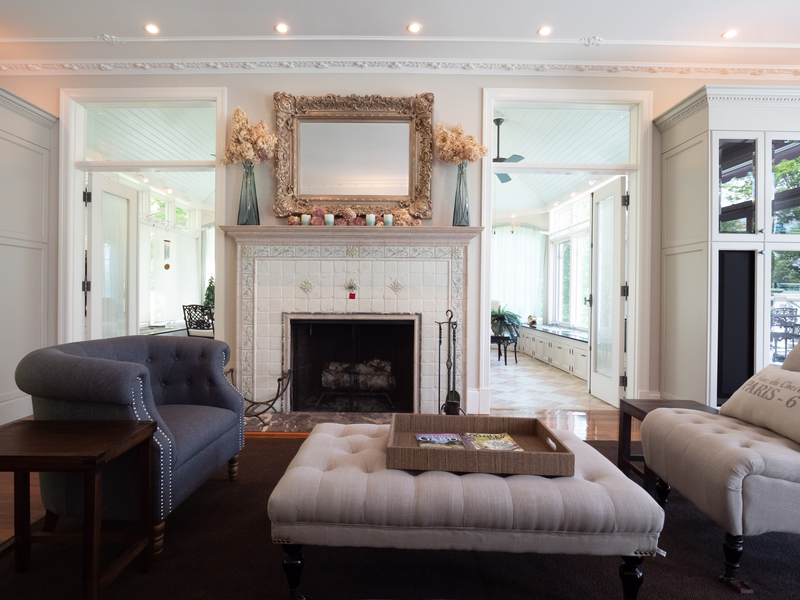 The first floor enjoys an open floor plan with a chef’s kitchen, laundry room and pantry, and solarium. 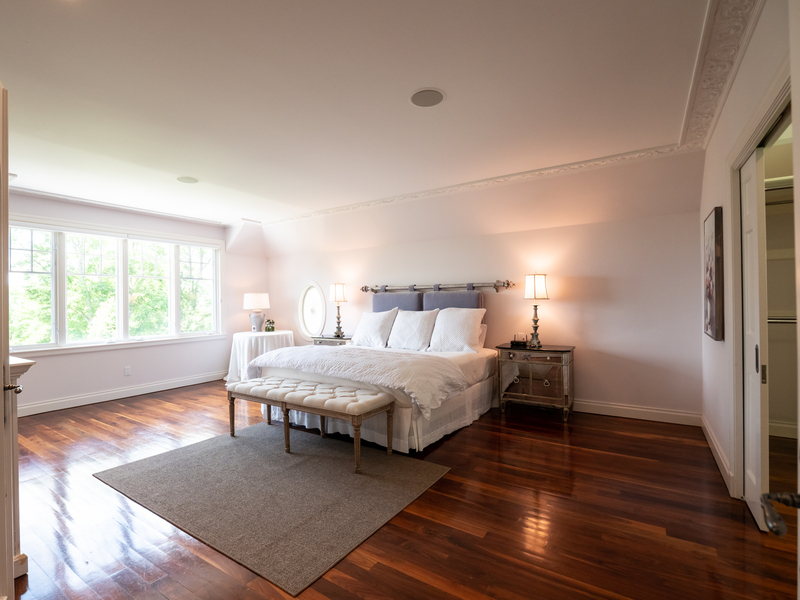 The second-floor master bedroom en-suite and guest bedroom en-suite both have whirlpool bathtubs. The lower level has two guest bedrooms, full a bathroom, theater, utility/preparation room and office. The home is situated near to thousands of acres of protected state land. The large pool has a cabana with a half bathroom, kitchenette and deck. 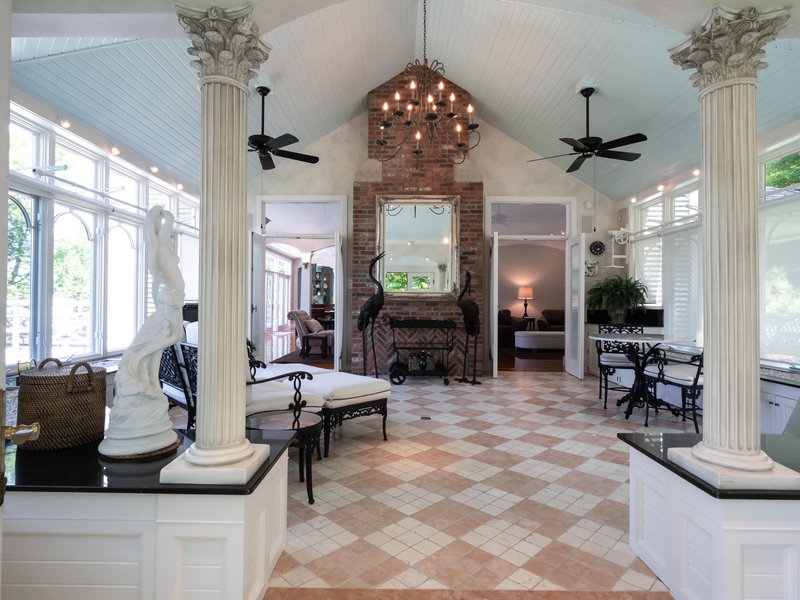 This striking home is listed for $1.95 million with Pall Spera Realtors, an affiliate of Luxury Portfolio International.